In the hectic hustle of the run-up to the wedding, every couple gets to feel a little bit like it’s a long distance relationship. Instead of geographic distance – there’s lists and decisions and family members and opinions and logistics. A pre-wedding photo-shoot is an immediate, effective pressure valve, an oasis in the middle of the planning chaos to just spend a day looking into the eyes of this person you’re going to spend your life with. And while you get some fabulous photos, it’s a great opportunity to get comfortable with a camera focusing on you. If a shoot is on your mind, take a cue from some of these couples we’ve picked as this month’s favorites and get inspired. The setting was Mehtab Bagh in Agra and ‘The Perfect Location’ in Faridabad. ‘The Perfect Location’ is a colorful venue with the movie set like backdrops, props, themes and much more. 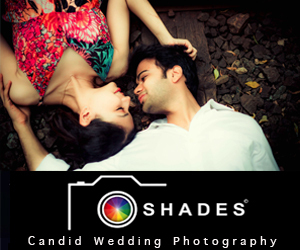 It held the perfect vibe for Sugandha and Shivansh’s pre-wedding shoot. 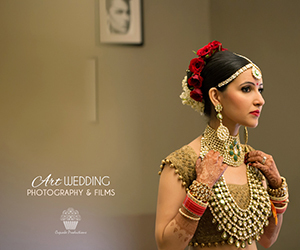 Team Amit Photography had a clear understanding of what this couple’s tastes were like and the two venues matched their style very well. The fact that the couple looks like they belong amidst the stylish backdrops adds to the appeal of the pictures. Instead of escaping to an exotic destination, Saran and Sofia conducted their pre-wedding shoot at Dominic Studio in Bangkok. Saran is a Sikh and Sofia is Thai. The team of DM Official Shots recalls, “It was hard to set up a theme, but we decided to go for a look which was westernized but also had elements appropriate for a Thai marrying a Sikh. We organized three wardrobe changes with different aesthetics for each outfit.” The pictures give us a glimpse of their beautiful inter-cultural romance against luxurious backdrops. The minimalist background made the bride and groom stand out as they posed with each other. 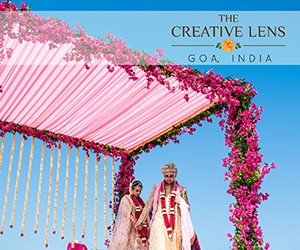 The couple’s idea was to incorporate their unique love story and romantic moments against the historic Vasai Fort and gorgeous Aksa Beach. Their idea was to portray their connection and love before two different backdrops. From poses by the beach to those at the fort, each picture has an un-missable charm. Their expressions captured by Mrinal Khatnani Photography convey their deep love, and the color and composition of the photographs mirror it perfectly. 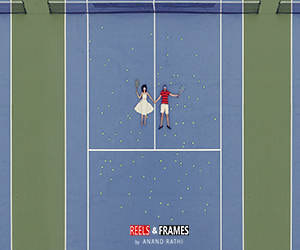 Akshay and Akshiya had always envisioned their pre-wedding photo shoot to be a bit offbeat and unique without being photographed in a clichéd fashion. 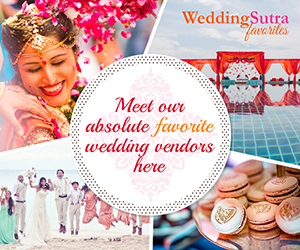 Team Taj Studio understood their aesthetic and organized a travel-themed pre-wedding shoot in Lonavala. The picturesque environs add to the beauty of the frames. This entry was posted on Friday, May 25th, 2018 at 5:57 pm	and is filed under Pre Wedding Photoshoots, Wedding Photography & Films. You can follow any responses to this entry through the RSS 2.0 feed. Both comments and pings are currently closed.